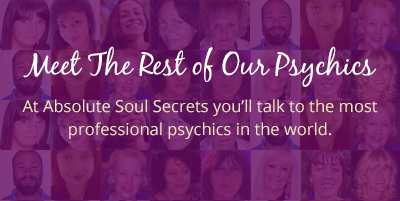 Absolute Soul Secrets is a leading worldwide psychic network with 19 years experience setting a high standard in the delivery of metaphysical services. We are looking for a bright and bubbly telephone booking manager within commuting distance of the beautiful Gold Coast in order to attend occasional company events. This person will believe in the provision of psychic services with integrity and seek to make a positive difference in the world. The role involves taking telephone bookings for our team of phone psychics. We have Sunday mornings and fill in shifts currently available working from home. The successful applicant will be an independent contractor and we ‘foresee’ an increase in available work in the near future if you’re interested. This business is constantly expanding and we will be introducing new customer offerings including sms psychic chat. * An interest in metaphysics and making the world a better place. Please forward your resume with contact details of referees. Interviews will be conducted on the Gold Coast. This opportunity closes April 21, 2019. Trust your intuition and apply today!